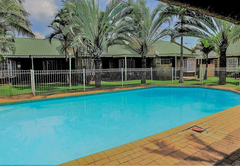 Hoogland Spa Family Resort is a highly recommended property providing self catering in Bela Bela for tourists visiting the Waterberg region. 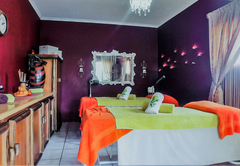 Hoogland Spa Family Resort is the perfect getaway location in the heart of Bela-Bela, Limpopo Province, South Africa. 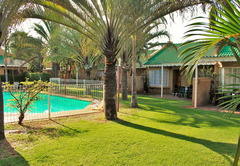 Bela-Bela’s favourite stay for people on the go is situated in the heart of the sunshine town and tourism hotspot of Limpopo, near the Forever Warmbaths Hydro and Waterpark. 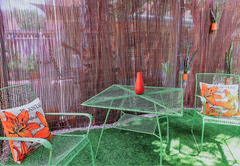 Uptown luxury and down to earth hospitality. Offering eleven stunning self catering chalets for the best nights sleep. 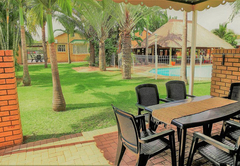 Our comfortable units offer the best in holiday luxury like flat screen tv’s, dstv hotel bouquet, air-conditioning, comfortable bedrooms, fully self-catering kitchen, and private braai area to enjoy the stunning weather of the Waterberg Region. Our one bedroom chalets are ideal for couples and small families, offering a main bedroom with double bed, and two single built-in sleeper couches in lounge for kids. 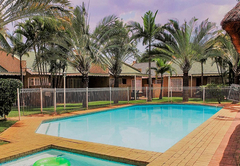 The chalet also comes with a fully equipped kitchen and private patio with braai area. 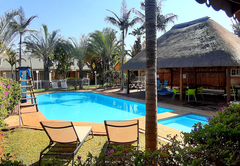 The chalets are on the ground floor and are fully-equipped for your self-catering needs. Our two bedroom chalets are ideal for two couples and larger families, offering a main bedroom with double bed, a second bedroom with two single beds and two single built-in sleeper couches in lounge for kids. 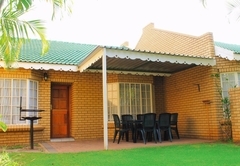 The chalet also comes with a fully equipped kitchen and private patio with braai area. 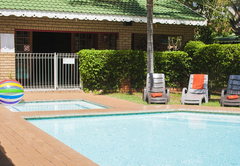 The chalets are on the ground floor and are fully equipped for your self-catering needs. 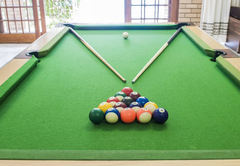 Our three bedroom chalet is ideal for larger families, offering a main bedroom with double bed, a second bedroom with two single beds a third bedroom with a double bed and two single built-in sleeper couches in lounge for kids. 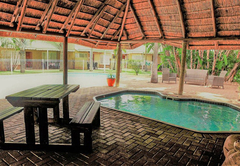 The chalet also comes with a fully equipped kitchen and private patio with braai area. 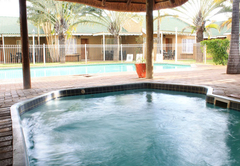 The chalets are on the ground floor and are fully equipped for your self-catering needs.